"Your Loss" - Paul Steel. The song that introduced me to a bright new British musical talent (and there have been so few of them this year) that's got me really excited about his forthcoming album "Moon Rock". An upbeat break-up song musically reminiscent of Supergrass at their best - yes, that good. Roll on 2008: he deserves to be massive. "Come Marry Me" - Miss Platnum featuring Pete Fox. Absolutely bonkers mish-mash of rap, hip-hop and Eastern rhythms with a massive dose of humour made this a great big holiday hit for us whilst in Berlin. I will really need to check out her album. Played chess on Wednesday night with faithful travelling companion. Now I am to chess what Kate Garraway is to ballroom dancing, but I didn't really have a chance against the evil chess genius that he is. 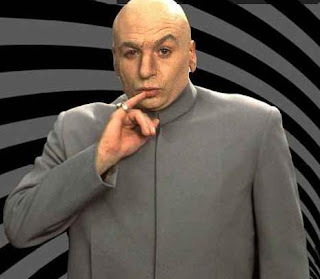 Decided that he must be related to Dr Evil, as he sits in an evil-chess-genius way at the chess board plotting a million ways to stop my knights, pawns, rooks and bishops in their tracks. "Live Forever" - Magnus Carlsson. 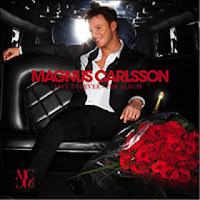 Magnus Carlsson's recording career was about to take a new and interesting twist: he discovered falsetto, and managed to channel the spirit of A-Ha into this pulsating retro pop stormer. I still like it, even if I'm not really keen on him singing falsetto all the time now. And I want to hear him singing in Swedish again. 2007-50: No. 36: What if I say I'm not like the others? "The Pretender" - Foo Fighters. Unlikely holiday anthem of our late summer trip to Berlin, and a song which refuses to leave my iPod. I've always liked them, but this just reminded me how good they are. 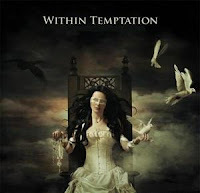 "What Have You Done" - Within Temptation. Fans of female-fronted symphonic-goth combos like Evanescence and Nightwish will also probably love Dutch band Within Temptation who have been around for years but whom I only discovered thanks to this song, which I'm still playing months later. 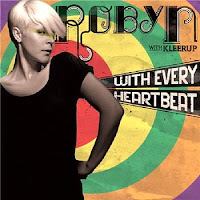 "With Every Heartbeat" - Robyn. Arguably the year's biggest hit within some parts of the pop blogging community, the song that took Robyn to the top of the UK charts - what an amazing comeback for her, and her success could continue well into 2008 as this bizarre and quirky singer finally releases "Be Mine" as a single in the UK. New TV appearance: about 19 minutes into the the SVT programme "Eftersnack" on 28.11.07 there is a short behind-the-scenes feature and interviews with Salem and Maia at their soundcheck for their Vasteras show. An unusually subdued Salem, it has to be said. Not looking mega-swoonsome, had his hair tied back, but it doesn't matter, I like watching him being interviewed anyway, even if I don't understand it I still like to hear him speaking Swedish..! Short clips of his soundcheck with his wonderful band (now with additional keyboard player! ), doing an extremely jazzy "Tell Me". Anyway this was the promo pic for Salem and Maia's current tour of Sweden. It just struck me that they are both very similar: both are talented singer-songwriters who played all the instruments on their respective debut albums, and both doing very unique music. Quite appropriate and nice that they are touring together. A German band which makes records in the Spanish language: meet Marquess, who came to my attention in 2006 with "El Temperamento". "Vayamos" is even more successful and its popularity is now spreading outside Germany. Catchy and fun track and I want to hear more from them. You don't have to win "Idol" in Sweden to become a star. Just ask Måns Zelmerlow, or Sebastian Karlsson, or Ola Svensson, or Darin. This was the song that introduced me to Danny and his brand of bright, uptempo boy-pop. Claudia, Eva, Mathieu and Antoine. Hopefully Claudia will be spared, the rest I'm not really too bothered about, although I can't really comment as I haven't watched the evaluations yet. Will watch them tonight and will post back about this. "Hooked On You" - Infinity. Norwegian ravers out of retirement for this year's Norsk Melodi Grand Prix, this was one of the best songs in what's always a good contest, but its chances were scuppered by its silly staging. That aside, it's a bit of 90s retro which would appeal to fans of E-Type and the like. 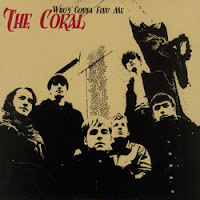 "Who's Gonna Find Me" - The Coral. To me this Merseyside combo can sometimes be a little hit and miss, but this was definitely in the 'hit' category. Strong 60s influences and a good catchy beat: you can't go wrong with this one. Salem Al Fakir's Swedish tour starts tomorrow! I wish I was there, in Gothenburg, and Linköping, and Västerås, and Uppsala, and Lund, and Vara, and Örebro....oh you get the idea. Anyway tomorrow night he will kick off his mini-tour in Gothenburg and I'm looking forward to reading all about it, if some lovely people will post reviews and pictures and videos on the internet of course. Sadly, "It's True" has now dropped out of the Swedish download chart. However some good news as this song has made it onto yet another UK dance compilation, the "Hed Kandi 2008 Mix". We will continue to bring any news of course about Salem, and of course any non-news as well!!! In this week's P3 Digilistan, Timbaland and One Republic remain at no.1 with the great "Apologize". Highest new entry is Cascada's "What Hurts the Most" at no. 9. Highest placed Swedish act this week is Måns Zelmerlöw who stays at no.5 with "Brother Oh Brother". "Miss Blue" by Vincent climbs to no. 18, which I'm very happy about. Other Swedish acts in the top 30 this week include Mange Schmidt, Dogge Doggelito, Danny & Therese, and Kent whose "Ingenting" is still around. We could all settle down and enjoy "Strictly Come Dancing" once again, now that the worst of the worst was gone. What we weren't prepared for last night was one of our tips for the final three couples, Brendan and Kelly, being in the judges' bottom two after admittedly a below par effort, however having watched this show over the last few years I think it's more personal as the judges seem to have something against Brendan and snipe at him for things they would let other competitors away with. IMHO, of course. Anyway it was Brendan and Kelly versus John and Nicole in the bottom two, and tonight the panel chose unanimously to keep Brendan and Kelly in and send John and Nicole home. We agreed with this one, as John had probably gone as far as he could go. Major surprise is that Kenny Logan is still in the contest and seems to be winning a lot of fans, but his time will probably be up next week. Who's our tip to win? Alesha and Matthew: I'm not too keen on him, but she is glamorous and graceful and dances well, week after week. Otherwise: Matt and Flavia: he's good, quick, best of the male dancers and I quite like her too. Sadly though, nothing this year in the same league as Mark 'hot hot hot' Ramprakash...! Awwwww man! Why I'm not loving "I'm A Celebrity..."
Two weeks in and it's just too boring for words. I used to love this show and watched it faithfully night after night, series after series. Maybe it's just the mix of 'celebrities' (one for the Trades Description Act I think), maybe it's just the editing, but it's a very bland and boring mix this year. The only thing worth mentioning is American ex-supermodel Janice Dickinson's "Awwww man!!!" catchphrase at eviction time. We need a David Gest, a Lord Brocket, a Paul Burrell, a Dean Gaffney or even (oh the insania) a Jordan and Peter. Since my last post, Lynne Franks (some PR person I'd never heard of), John Burton Race (grumpy chef) and Rodney Marsh (misogynist footie hasbeen) have all gone, leaving Janice along with some other contestants that I'm too bored to even mention. Might do another post about this in a couple of days, if I can summon up any interest. In need of a good-looking young Swedish man singing a catchy pop song? 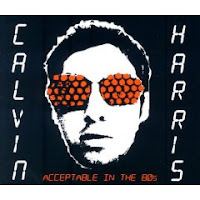 "Acceptable In The 80s" - Calvin Harris. His 2nd song in my chart, and one of those songs which seemed to turn up as backing music on TV shows (see also "Starz In Their Eyes" by Just Jack and "Golden Skans" by Klaxons). Addictive electro-disco which sounded good on record but also worked well at the many summer festivals which he played this year. I've always been aware of him being around, but this particular song found a place in my heart this year and the video got a lot of airplay on the TV music channels. A very good singer, mainly known for his jazzy cover versions but I like him singing new songs like this one. "People only see my big hair"
It's quite a funny interview too, as he says it's been a great year and he's learned a lot about performing and singing. I had to laugh though as he describes himself as 'poor' in the English language (despite writing a brilliant CD of lyrics all in English). Hopefully he will be good enough at English to do lots of interviews when he comes over here, hopefully next year! Please! I don't care how bad his English is, it doesn't matter!! We love him anyway!! 14.01.08 will see Robyn's "Be Mine!" released as the follow-up single to "Handle Me", which has done quite well considering a) the video is quite strange and b) it's not in the same style as "With Every Heartbeat". Talking of which, Girls Aloud covered that song on Radio 1 yesterday, but neither myself nor my work colleagues were too happy about their version. I was in a record shop today and heard some songs from "Tangled Up" which I rather liked, so I want to download this CD! The evening kicked off with all the students singing "Je Marche Seul". "Vivo Per Lei" - Andrea Bocelli, Chimene Badi & Alexia: not easy for Alexia being put beside not one but two great singers - but well done. "Le Jerk" - Lorie & Lucie: I haven’t really noticed Lucie till now, but I quite like her and thought she was better than (double-tracked) Lorie on this. "Entre Nous" - Noemie: she is no Chimene Badi, and any chance she had of remaining in the competition just vanished here. "J’aime Regarder Les Filles" - Bertrand: poor excuse to showcase this year’s Miss France finalists. Vocally a bit off, but he’s still a character. "Sweet Dreams" - Quentin: one of those unique Star Academy moments when you are just left speechless. What have you done to my lovely Quentin? Why the eye make-up? Anyway you can’t deny his talent and if he wins, he could possibly be one of the most unusual and fascinating winners this series has ever had. "Je Vais Vite" - Lorie & Eva: good performance, even if it wasn’t the best song she managed to vocally compete with Lorie. "Marcia Baila" - Claudia: she has, as Simon Cowell might say, the ‘likeability factor’ and I still can’t understand why she was nominated this week? "Caroline" - MC Solaar & Maureen: Maureen rapping? What a waste. "Con Te Partiro" - Andrea Bocelli & Pierre: Andrea is without question one of the world’s greatest singers, but sadly Pierre is no Gregory Lemarchal. "Medley Will.I.Am" - Will.I.Am & Sevan: Sevan looks the part and this wasn’t too demanding - but how would he cope with a big chanson? "La Boheme" - Chimene Badi & Maureen: Maureen is proving to be very versatile and this was a very different style for her but she was outclassed by the mighty Chimene. "Une Seule Vie" - Antoine: he still looks too young for this competition, and I still have reservations about his potential. Managed this ok though. "Hot Stuff" - Craig David & Mathieu: Mathieu very much at home on this song. Good. "Da Vinci Claude" - MC Solaar & Sevan: like Harlem before him, rapper Sevan may have a limited shelf life, but he did well here - I like this! Quentin, Maureen, Pierre, Mathieu & Claire-Marie get top 5 on this week’s prime. "Malgre Tout" - Chimene Badi & Bertrand: nice duet, well done but Bertrand - less of the facial grimaces, they’re a bit offputting! Thankfully the jury saw sense and sent home the one who tried just a little too hard in the opening weeks...au revoir Noemie. "Heaven’s On Fire" - Andreas Sjöberg: he was tipped to go this week, but with his big rock voice he excelled in ‘rock week’ and this song suited him well. "You Really Got Me" - Amanda Jenssen: I am not Swedish, and I still don’t understand her popularity. She looks like one of those reality TV contestants who will subsequently turn up everywhere, even if their talent is negligible. "You Oughta Know" - Marie Picasso: unlike la Picasso, who is at least consistently good in this competition, even if she was straining on this Alanis Morisette song. "Roxanne" - Daniel Karlsson: incredibly strong and confident version of this song. Again, very comfortable in ‘rock week’. "Livin’ On A Prayer" - Andreas Sjöberg: unquestionably good, vocally, but for me he’s still not got the full ‘Idol’ package. ...SO WHY WAS HE ELIMINATED THIS WEEK? I don't understand this anymore. Another shock eviction - as if Christoffer going two weeks ago wasn't bad enough, now Daniel's gone. At least Marie and Andreas have good voices, but why is Amanda still there? If you are Swedish, and you are a fan of "Idol", and you are reading this blog, could you explain why she is still there? "Let Me Think About It" - Ida Corr vs Fedde Le Grand. Big-haired Danish dance diva meets all conquering DJ. The result is a rather great dance track which took some time to grow on me, but I suppose all the Fedde stuff is like that, as I used to hate "Put Your Hands Up For Detroit" with a passion, and now I rather like it. Look out for Ida in the future - check out her MySpace for more tracks. "Just Another Summer" - Moneybrother. I'd heard of Moneybrother before but hadn't heard any of their music. When I found out they were doing the "Parksommar - Just Another Summer" tour with Salem Al Fakir, I thought I'd check them out. Glad I did. This is good old fashioned rock 'n'roll with obvious Springsteen influences. Catchy and reminds me of summer 2007, even if the weather failed to deliver. 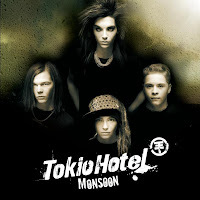 "Through The Monsoon" - Tokio Hotel. The German band’s big English language breakthrough song in Europe this year. As usual, the UK seems to be the only country where success has passed them by. I like them though, and in Bill Kaulitz they have a striking, charismatic, (and beautifully made-up) lead singer. 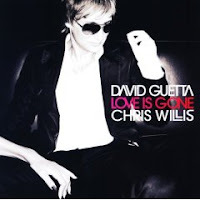 "Love is Gone" - David Guetta featuring Chris Willis. The French DJ had found a great hit formula with "Love Don’t Let Me Go" and this is another variation on the theme. Massive dance hit with an amusing video too. Guetta manages to stay cool and please all the people all the time. 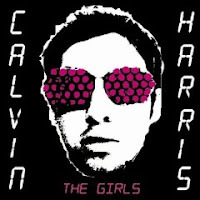 "The Girls" - Calvin Harris. Producer/DJ Mr Harris may have been one of the most over-hyped new acts from 2007. Some love him, some hate him. I liked a couple of his songs, and this was one of them. Very catchy electronic disco which became a Friday night favourite with me and faithful travelling companion at EuropeCrazy HQ. We start with a song which came to my attention whilst on holiday in Berlin in September. This sunny little acoustic number seems to have been more appreciated in Europe than in the UK, where it sadly flopped. 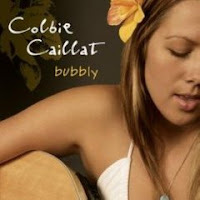 Colbie is a new American singer songwriter described as the "female Jack Johnson". Nice comparison, and a fine debut single. Tonight I've decided to begin my countdown of my 50 favourite songs of 2007. There are a few of them which were released in 2006, but they make my chart either because a) I hadn't heard them before this year or b) I played them a lot this year. Anyway I'll be doing two songs per day and that will take us up to just before Christmas when I will reveal the song I liked best this year. About half of the songs will be by European acts, and if you've been following my weekly playlists since the blog began in March, then most of my choices shouldn't be too surprising. Wednesday again, so let's check out the additions to Swedish radio P3's playlist. This week's A-list additions are "Little Dysfunk You" by The Ark (yay!) and "Columbus" by Kent (yay again, I'll publish that album review over the next week) whilst Peter Joback's "Han är med mej nu" moves up to the B list. 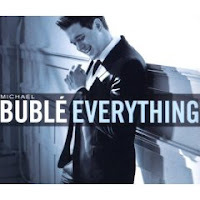 Added to the C-list is an old favourite of ours "Bubbly" by Colbie Caillat, and "Stay My Baby" by Amy Diamond. Also worth mentioning is Juanes' "Me Enamora" is added to the S-list. Chamillionaire's latest song is added to the E-list, a bit of a Swedish link here as this rap song samples Europe's "The Final Countdown"! Over on Rix FM, BWO's "Give Me The Night" is single of the week. More "electro" than their usual but I like this, they can do no wrong for me, all their songs are so catchy. OK so been a bit sidetracked this week, apologies to anyone reading this blog who is a bit fed up with my ranting and raving about how brilliant Salem is, anyway I can't help myself. However there are other things going on - like the latest series of "I'm A Celebrity, Get Me Out Of Here", the popular British reality TV show which puts alleged "celebrities" into the Aussie jungle. I must admit I'm not really loving this series because there is a lack of entertaining personalities - certainly no David Gest this year, that's for sure. And why is the public choosing Janice Dickinson for trial after trial? This is nearly as bad as Kate being kept in Strictly for 6 weeks, and even she's gone now! Give someone else a chance! Let the anonymous boring people surprise us! Tonight saw the first eviction, and it came as no surprise to us that Marc Bannerman, whom I had never heard of but I'm reliably informed that he was in Eastenders, was first out. His jungle romance with Cerys Matthews was the talk of the tabloids - slight problem being that he already had a girlfriend. He obviously didn't learn the lesson that the viewers love you if you're mad, they love you if you're bad....but they don't love you if you're a cad. Good riddance we say. My Salem Al Fakir obsession is once more in full swing this week thanks to the new video and his appearance on that Norwegian TV show which I've been watching again tonight. Even though I understand very little Swedish (and no Norwegian) I get the idea that he's being asked the same old questions - like how he's managed to go from being a classical violinist to a pop star blah blah blah, which he's probably been asked in every interview over the last 12 months, but despite that he still manages to answer them without ever seeming bored. He is so cute and charming as ever. Anyway I listened to this live version of "Good Song" which I like a lot more tonight, still don't think it's on a par with the "Allsång pa Skansen" version which is an established classic at EuropeCrazy HQ, but it's still very good, his band are great as ever and I like the way he goes a bit off key during the piano solo, his hair has got so big he can't see what he's playing any more !!!! Let Me Think About It - Ida Corr vs Fedde Le Grand: Didn't like this to begin with but now I think it's one of the year's best commercial dance tunes. Ride The Storm - Carl Kennedy & Roachford: one of this country's most underrated singers of the 80s and 90s, and fitting very well into the dance environment. It's True - Axwell & Ingrosso vs Salem Al Fakir: I just love it. Waiting 4 - Peter Gelderblom: clever sampling of RHCP's "By The Way" turning it into a good dance tune. Brother Oh Brother - Måns Zelmerlöw: not quite as catchy as "Cara Mia" but not far off. Now a firm favourite of mine. Apologize - Timbaland feat. One Republic: This should be no.1 in the charts. I will do a post later about One Republic because their CD is now out in the USA. Through The Monsoon - Tokio Hotel: been playing this a lot since they appeared on last week's "Star Academy". ...Antoine, Noemie and Claudia. They must have got fed up with nominating Mathieu! Hmmm.....I like Claudia and hope she stays. Going to sit on the fence here and say I really don't know who will go this week as I haven't been following the daily updates. I'm really shocked that Alexia was almost nominated though, she was great on the last prime. New Norwegian TV appearance. Swoon. He looks rather lovely during the short interview (in Swedish, with Norwegian subtitles) - big crazy hair! The pullover is back - the old one, not the new one! This is followed by a rather 'different' version of "Good Song", let's just say, maybe he's getting tired of playing it now and wants to sing it a different way? Still great though - I want to watch this over and over again. Still completely in love with this man. You know I cannot do anything about it. Have been trawling the web for pictures from Salem Al Fakir's Stockholm gig (at the Rival) on 18.11.07, and have finally found one. How big is the hair!!! If it gets any bigger he could join a Led Zeppelin tribute band!! Now we know by now that Salem's fashion sense is a little, well, unconventional, and nothing's changed. Major news here is the appearance of a new stripey pullover. EuropeCrazy's "Pullover Watch" will continue to report any sightings. Anyway I'm still trying to find reviews of this concert - surely someone must have seen it! I need to know! Idol: Songs for "Rock Week"
Shot in black and white, it's surprisingly dark and surreal and in contrast to the song's happy and positive vibe. Salem is dressed in a suit and tie, his hair is tied back and he's got this facial hair thing going on. Anyway he walks barefoot across the pebbles on the beach and into the sea, and eventually he is engulfed by a big wave, and a very cryptic ending. Salem looks very different in this video, but there's always something about a man in a suit and you know that for me he can do no wrong anyway!!!! I remember reading a messageboard post somewhere a couple of months ago which mentioned that they'd seen him filming this video on a beach, but I didn't really believe this at the time but indeed...it's true!! (sorry for this atrocious pun). OK line-up I suppose, although could have done without "Craaaaaig David" (I prefer the Bo Selecta character to the real thing) and I fear the worst, if Will.I.Am is going to sing that "Got it from my mama" song which was bad. Not bad-good, just bad. Well who would have thought! Bertrand at the top this week! He was rewarded with a duet with Johnny Hallyday - "Gabrielle" and managed to do quite well. "Amazing" - Seal & Claudia: didn't quite live up to its name but I still quite like her. Don't think she'll be around much longer though. "Monsoon" - Tokio Hotel & Jeremy: was too busy admiring Bill's eye make-up and black nail polish to really concentrate on Jeremy, but this was rather good. "Face a la Mer" - Sevan & Antoine: Brave doing this one with Passi on the professional jury, but they did it well enough. "L.O.V.E." - Joss Stone & Maureen: didn't think much of the song, and it was all a bit style over substance but Maureen is a star. "Garcon" - Koxie & Eva: Arguably France's most popular song of 2007, but too much of a silly novelty to judge Eva's talent. "Le Heros d'un Autre" - Victoria Petrosillo & Alexia: again a good solid showing from Alexia but not much of a song to judge anyone on. "Vivre Pour Le Meilleur" - Alexia & Noemie: Staged just like last year's "L'Envie" Alexia (pictured above) for me gave the performance of the night, and Noemie appears to have undergone a transformation....but the jury didn't like it. "Crazy" - Seal & Quentin (pictured above): duet spoiled by the fact that Seal didn't give Quentin enough of it to sing. "Tant Pis" - Mathieu: I don't know why he's always nominated. This was quite nice. "Si J'etais Un Homme" - Claire-Marie: the problem with C-M is that her voice is not her own, it's France Gall's, nice as that may be. "Mon Frere" - Dojima: nervous and unconvincing. Result: Mathieu saved again by the viewers, with Dojima being sent home by the jury. This was yet another one of France 2's Saturday night entertainment extravaganzas shown in the UK on the TV5 satellite channel. Allegedly it was some kind of chart show where people had to vote for their favourite songs, it was an excuse to exhume various old French stars of chanson. Like Michel Delpech for instance, whose songs like "Pour Un Flirt" and "Le Loir et Cher" used to turn up in Star Academy a lot. "Wight is Wight" (no, not a spelling mistake - it's a song about the Isle of Wight festival!) was voted his best song. Dave: I take it for a man his age, he's not a natural blond. "Du Côté de Chez Swann" turned up on Calogero's "Live 1.0" CD, but this was the original cheesy version. I say original, because everyone on this show was miming. Like Desireless (who now resembles an old hippy in Hare Krishna style robes) and Julie Pietri, who both lip-synched their 80s classics "Voyage Voyage" and "Eve Leve-Toi" perfectly. Maurane also appeared. Even in her heyday she didn't look like a popstar. Now she looks more mumsy than ever, but you can't deny that she always had a great distinctive voice. Dany Brillant: is he the cheesiest man alive? The stars of today were also represented. Emmanuel Moire, for instance, oh swoon swoon swoon. 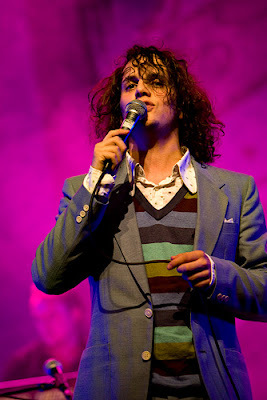 Lovely voice, gorgeous man, the only person who ever looked hot in a Louis XIV wig. Now he is out of the wig and in the midst of a solo career but he doesn't seem to be as popular as his "Le Roi Soleil" co-star Christophe Mae, who also appeared on this TV show. His voice is annoying me now. Catchy song though ("On S'Attache") kind of acoustic funk. The original Nouvelle Star runner-up Thierry Amiel sang "Coeur Sacre" which is an electro-pop number from 2006 which I still like. 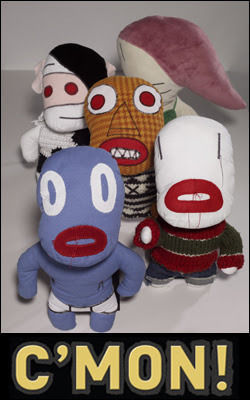 Other guests: Aaron, Zazie, Hugues Aufray, Cookie Dingler and Kaolin. Good show with dangerous levels of cheese, but a bit of live singing wouldn't have gone amiss. Strictly Come Dancing: hurrah, rejoice, she is finally gone. Sighs of relief all round tonight as our favourite British reality TV show regains its credibility and finally boots out the woman with the flexibility of a wooden clockwork toy. Appropriate this week that Kate Garraway and her partner, Anton du Beke, the 'nearly man' of Strictly (someone give him a decent partner one of these years!) danced to a song from The Killers, as week after week she committed murder on the dancefloor. I couldn't really get into the show over the last couple of weeks, probably due to the-saving-of-Kate every week, maybe now I'll start to enjoy it again. What can't be argued is that the standard of celeb-dancing is well down this year. Alesha, Kelly and Matt excepted (and we had high hopes for Gethin, who's taking too long to deliver), the rest just range from adequate to wooden. John Barnes was back in the bottom 2 tonight again: he and Kenny Logan (who we've warmed to over recent weeks, he tries hard even if he walks rather than dances) are now in danger of eviction next week. But didn't we say that about Kate about 6 weeks ago? Also worth mentioning that "Brother Oh Brother" by Måns Zelmerlöw is now no.5 - hooray!! - "Vayamos Companeros" by Marquess is still no. 11, and Vincent's "Miss Blue" is up to no. 23. And what's no.1 this week? None other than the mighty "Apologize" by Timbaland and One Republic, still one of my most favourite songs of the moment. The ponytailed one appeared on TV4's "Nyhetsmorgon" this week and it's still on TV4's 'webb-TV' and if you head on over there to www.tv4.se you can find him singing "Don't Hate On Me" and "Miss Blue". The prime was a day late this week. I'll do a full review tomorrow, hopefully, if I've got time, but in the meantime I'll just mention that Mathieu was saved by the public, again, leaving Claire-Marie and Dojima at the mercy of the jury. They saved Claire-Marie and sent Dojima home, so "au revoir" to Dojima. Lee Mead sings David Essex! Toni Halliday and Dean Garcia were a UK duo from the early 90s which made what I'd describe as electro-goth music. I absolutely loved "Fait Accompli" and "Clipped" (find the latter at http://www.youtube.com/watch?v=moAIaLbcKb0&feature=related)therefore I didn't need to be persuaded to buy their compilation CD "The Way Of Curve" which was released in 2004. I suppose that Garbage had more commercial success with a similar type of music, but Curve did it first, and did it best. Toni Halliday was one of my early 1990s idols: one of the few female singers who I really identified with. She was musically talented, beautiful, and knew about the significance of eyeliner. What's not to love. 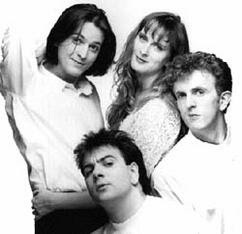 Anyway tonight I was thinking about this band from the north-east of England, which I loved in the 1980s. My two favourite albums of theirs are "Swoon" and "Steve McQueen" which got a lot of critical acclaim, but little commercial singles success. The first song of them I loved was "Lions In My Own Garden" ("it doesn't sum it up to say I'm singing the blues") which is on YouTube: http://www.youtube.com/watch?v=UfVmbJ3iHUI whilst "Faron Young" has a brilliant line which goes "you offer infra-red instead of sun" which I always loved: http://www.youtube.com/watch?v=_IS4VERpVjs and if like me you love "Appetite" the video is at http://www.youtube.com/watch?v=uzlZKZE96R4 anyway I would urge you to check out this band's first two albums which (IMHO) were their best. Tonight I thought I'd give a mention to someone who would appear to love Salem Al Fakir just as much as I do. Marie Picasso already has the look of a winner. She is visually reminiscent of Geri Halliwell, with the legwork and stage presentation of Tina Turner, backed up by an impressive voice. She made good work of an undemanding "How Will I Know". Andreas Sjoberg still provokes mixed feelings, as vocally he coped well with "I Still Haven't Found What I'm Looking For", but he still doesn't look like an Idol winner, although he's still one of the best singers in this year's competition. Daniel Karlsson (and his strange stripey armband) is also very good, although the early favourite has had a couple of off-days. His "California Dreamin'" did the job though, and I can still see him in the final. Mattias Andreasson has reached this stage of the competition with a mediocre voice but the kind of boyband teen-appeal looks which always succeed. His version of "The World's Greatest" was ok, but not enough for this stage of the contest. 1. Marie: "How Will I Know"
2. Andreas: "I Still Haven't Found What I'm Looking For"
3. Mattias: "The World's Greatest"
Last week was disco week on Swedish Idol, now it's disco week on X Factor in the UK. With this line-up, the glitterball might just lose its sparkle!! Since I last worked up the enthusiasm to write about this dreary series of X Factor, three acts have gone - Daniel, Futureproof and Andy. Quite frankly, there's only three things you can be sure of now: Rhydian will be magnificently over-the-top, you'll need your sick bag handy for Same Difference, and Simon will be all over Hope like a rash. Yawn. But I'll probably watch it as usual anyway. I might not have mentioned this in the past but I've always liked dance music, mainly the commercial cheesy stuff that gets in the charts and on all those dance compilations which I can't get enough of. So tonight I'm listening to "The Annual 2008", the latest Ministry of Sound compilation and just realising how much I love, love, love "Let Me Think About It" by Ida Corr vs Fedde Le Grand. (I had a laugh when I saw him called Freddie Le Grand on another website. Sounds like a 70s cabaret singer lol). Big-haired dance diva Ida is actually from Denmark, so she definitely falls within our remit of covering European music. Actually, I don't have a very vast knowledge of Danish pop apart from Infernal, Aqua and Whigfield (!!) so that's something I need to rectify very soon. Anyway as we worship big hair here at EuropeCrazy HQ then that's at least a good enough reason to mention her. And talking of that Ministry of Sound CD, and big hair, because I can't get through a day without mentioning a certain favourite Swedish singer of mine, the magnificent Axwell/Ingrosso mix of "It's True" can be found on "The Annual 2008", track 9 CD1 to be precise. Two of our favourite songs figure in P3's A-list (most played songs) - Axwell vs Salem's "It's True" and Mans Zelmerlow's "Brother Oh Brother" whilst an old German favourite of ours "Vayamos Companeros" by Marquess is doing well in Sweden at the moment and is on P3's C-list. Strangely enough, "It's True" isn't doing so well in the singles chart, but maybe it's early days yet? Additions to the S-list this week include "Those Dancing Days" by Those Dancing Days, which is a fun track by a Swedish girl group, and "He Said He Loved Me" by one of our fave new British bands of the year, Reverend and the Makers. Sometimes I just can't resist the urge to put a picture of the CMONS on this blog, and that time is now. ...I got it wrong! Antoine was saved by the jury, leaving Claire-Marie, Dojima and Mathieu to face the public vote. I expect that the public will save Claire-Marie, with Mathieu finally being voted off by the jury - unless he wins the public vote, in which case it will be au revoir to Dojima. Every time I reach a milestone on this blog I feel the need to do a little speech so here is another one. This is my 500th post on this blog, which has now been going for 8 months. During that time I have discovered a lot of new European music which I love to write about (OK, most of it is Swedish! ), and visited two new cities - Stockholm and Berlin. The main thing I've discovered on my blogging journey so far is that you are not alone. You may think you're the only person who likes that obscure song, but there is always someone out there in the blogging universe who also likes it. So once again I really want to say thanks again to anyone who's passed this way, read this blog, left comments, I really appreciate it. Thanks for sticking with me in between good times, bad times, never-ending Salem Al Fakir obsession, and the urge to hear Homer Simpson sing "Spider Pig" at least once a day. To infinity (or at least another 500 posts) and beyond! Anyway it reminds me of when I was in Stockholm in May this year with my faithful travelling companion, and one night we decided to go over to check out Sodermalm. We had a lovely Chinese meal at a restaurant just across the road from Debaser, then we sat out at a bar just across the square from that trendy rock club. Never mind that we're both the wrong side of trendy, but it didn't stop us having quite a memorable evening in Sodermalm if only because this part of the city boasts more young goodlooking people than our base on Norrmalm, so we both enjoyed the respective views on offer! This week's guests on the prime will be Johnny Hallyday, David Hallyday, Tokio Hotel, Seal, Koxie and Joss Stone. Star Academy - this week's pre-nominees, and a little bit about last week's prime. It's between Claire-Marie, Mathieu, Antoine and Dojima. I reckon that Claire-Marie will be saved and it will be between the three boys this week. If that's the case I think it might be bye-bye Mathieu, as it's not the first time he's been nominated and the viewers would probably save Antoine. On the other hand I will probably be wrong, the way I was with last week's Idol result (which I'm still not taking very well). Wasn't around here much at the weekend so didn't have time to do a full recap of last week's prime. To be honest, I wasn't really that impressed although enjoyed Jenifer and Juanes' appearances. What I was really pleased about was Quentin being named last week's top student - he's certainly top student with us here at EuropeCrazy! Last week's nominees were Mathieu, Yaelle and Noemie. The viewers saved Mathieu, whilst the jury chose to send home Yaelle. They need to keep Noemie in for a while, after all - she may be this year's answer to Faustine from SA6, who was kept in until she outlived her usefulness. Apologize - Timbaland feat. One Republic: I'm really excited about this band and I've got a feeling that their CD (out soon) is going to be very good. Vayamos Companeros - Marquess: I've had the iPod on random play and this has been on quite a lot this week. Summery Latin tune to brighten up the start of winter. Miss Blue/Don't Hate On Me - Vincent: I can't get enough of these two songs and will have to get his album. Radio/Runaway - Jamiroquai: another two of my random play tunes which keep popping up. Come back Jay Kay we're missing you! 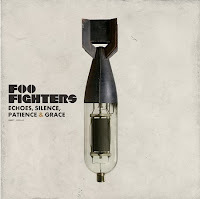 The Pretender - Foo Fighters: just realised lately how much I really like this band. Me Enamora - Juanes: it wasn't as instant a song as "La Camisa Negra" but has now really grown on me. Brother Oh Brother - Måns Zelmerlöw: another one which took a long time to grow on me but now I love it. Exciting Doctor Who rumour...which turned out not to be true. Read a rather exciting rumour today which sadly turned out not to be true, that John Simm would take over from David Tennant as Doctor Who for the fifth season of the rejuvenated hit show, to be screened in 2010. How good would that be? (but it's not happening, so don't even think about it). Strictly becoming a bigger farce by the week..! Didn't do my usual recaps over the last couple of weeks so here's a brief one. Two weeks ago there was uproar, to put it mildly, as Gabby Logan and partner James Jordan left the competition. Now I know I wasn't a fan of hers but she certainly didn't deserve to be in the bottom two that week, along with Penny Lancaster-Stewart (from now on referred to here as Mrs Rod), whilst the loathsome Garraway woman survived. Another shock bottom-two this week: and you can guess the rest. Anton and his wooden breakfast tv presenting partner (I refuse to even mention her name anymore) survived once more. Even bigger shock was lovely little Matt being in the bottom two even though, in our humble opinion, he's been the best of the male celeb dancers since this series started. Another big decision for Uncle Len and the rest of his increasingly egotistical sidekicks: they made the right one, keeping Matt and Flavia in and sending Mrs Rod and her partner Ian Waite home. I never thought I'd say this, but this is the first year that I'm not totally loving Strictly Come Dancing because of a) the Sunday results show; b) the dance-off and the panel rather than the viewers doing the evicting, and c) everything not being what it seems. Allegedly. Only a minor snippet today, I wouldn't really call it news, but I've made my daily visit to www.myspace.com/salemalfakir and discovered that he's made some slight changes to the colour scheme and appearance of his page, now it's all bright again with a white background and everything that was on the left side of the page is now at the right side and vice versa. No new songs though: but if you're looking for somewhere to hear "It's True", "This Is Who I Am", "Dream Girl" and "Good Song" then that's still the place to go. Salem's Musikbyrån Live concert on SVT Play - final week? Have been over to SVT Play again - quelle surprise - and I notice that the Bloc Party Musikbyrån Live concert has now disappeared so by my reckoning this means that we will only be able to see Salem's Malmo gig for one more week before it disappears from the internet forever :-((((( so therefore I will be going for the world record and watching it as many times as I can between now and next Friday. Edit (15.11.07): it's now been removed from SVT's site, but I will always keep fond memories of watching it a million times. Now, will someone please put it on YouTube???? Idol 09.11.07: this blogger is not happy at all. It was disco night on Idol, but it was overshadowed by the return of long lost juror Clabbe af Geijerstam, the bloke who used to sing "Sommaren Som Aldrig Säger Nej" back in the 1970s ;-) but I digress. Felt overall that it was a tough week for all the contestants, and it proved just how hard those disco songs were to sing. Christoffer sang "Boogie Wonderland" which was ok although not really the best song to show off his voice. Nevertheless he bravely threw in some Earth Wind & Fire-style falsetto. I still don't get Amanda - am I the only person on the planet who doesn't? - and I wasn't really keen on her peroxide rock-chick version of "Disco Inferno". Andreas is improving by the week and his "Upside Down" was soulful and vocally impressive. He still sounds better than he looks though. Mattias continues to hang on by a thread in this competition, although his "This Is It" was admittedly competent, rather than spectacular. All the little girls must like his boyband looks? I really wasn't keen on Daniel's version of "I Love To Love" and thought it was his weakest week so far. Marie let it all hang out after a couple of weeks of trying to change her image. She does have some star quality though, even if her "Ain't Nobody" wasn't that perfect. Is it just me or is she sometimes visually reminiscent of Geri Halliwell? I would have had Amanda and Daniel in the bottom two this week, however the Swedish viewers chose Mattias and Christoffer as their bottom two, with Christoffer evicted this week. Just realising over the weeks and months that I've been doing this retro-Saturday thing, that there were so many cracking bands in the 1980s which never really got the recognition they deserved. Someone on YouTube mentioned that Talk Talk were way ahead of their time and were the Radiohead/Coldplay of their day, such was the ambition and experimentation within their music. They are best known for "It's My Life" of course, but I'd like to mention "Living In Another World" from 1986 which is another obscure favourite of mine. The video at http://www.youtube.com/watch?v=3V6CdsAMGYk isn't really much to write home about, but the song is a little masterpiece. We leave the 70s behind and travel on into the 80s with one of the mightiest 80s electronic bands ever - Propaganda. They were a German band who were on the ZTT label and they released a fantastic album called "A Secret Wish" which I still have a vinyl copy of. There are several live TV versions of one of my favourite tracks, "The Murder of Love" on YouTube, and I'd encourage you to check them out. They always managed to cut it live for a band known for the studio excellence of the ZTT production. I loved this band and the album still sounds brilliant today. Big hair would appear to be a recurring theme on this blog and so let's have some late 70s big-haired radio-friendly rock from the band that everyone remembers for "More Than A Feeling" but this is actually my favourite Boston song. It would appear to be 70s 'guilty pleasures' night tonight!!!! A particularly guilty pleasure of mine, this one, which reached a new audience a couple of years ago thanks to the Red Hot Chili Peppers, who did a cover version on their "Live In Hyde Park" CD. Yes it's that time of the week again...! Another obscure but much loved oldie, words can't describe how fab this late 70s tune is. It did quite well in America if I remember, but not so well in the UK. The song reached a wider audience a few years ago as it was on the "Boogie Nights" soundtrack, this also re-awakened my interest in the song. One of my top 20 songs of all time I think. News reaching us that one of our favourite songs of the year, "Relax, Take It Easy" by Mika, will finally be released in the UK on 31.12.07. Bit late for that, but welcome nonetheless. Anyway I still remain ambivalent (!) about him. On the one hand, I think he's a bit great, on the other hand I find him a bit annoying and I can't make up my mind. 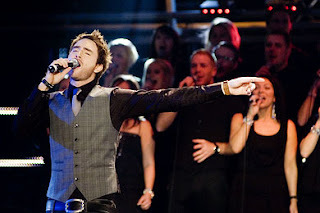 Two of his songs will be in my top 20 favourite songs of 2007 though (you'll find it on this blog at the end of 2007). Nominees will be announced at a press conference in December and we will bring you all the details as soon as we have them. Still think Mattias or Andreas will go this week. In the 4 months since Salem Al Fakir headbanged his way into my heart with his beautiful music, big hair and infectious personality, I have heard every song, watched every video clip, read and translated every single article and blog post on the internet about him. I knew that there would eventually come a time when there would be no news, and this would appear to be that time, and for the moment, in the words of the great man himself "I got nothing more to say". Therefore if I don't write about him as much that's the reason why. Hopefully this news-free period won't be for too long, as he starts his latest Swedish tour in Stockholm on 18.11.07 so hopefully I'll be able to find lots of reviews and articles around then. Also, it will soon be awards season in Sweden and I'd expect him to be figuring in the Swedish Grammys, Rockbjornen and P3 Guldgalan around the beginning of 2008. Still no news about when he will be launched on the unsuspecting British public yet, but now I have mixed feelings about this. On the one hand, I can't wait, if only that I'd get a major kick out of seeing "Dream Girl" in the top 10, or the remote possibility that I might get to see him live, or at the very least, the odd TV appearance - he was just made for "Later With Jools Holland" - but on the other hand, there is a strong possibibility that the Great British Public will not "get him" and will find him too cheesy/too retro/not trendy enough to be this week's big thing. In which case I'd have another description - how about "too talented"? But all that is just speculation and time will tell if it will work out for him over here. We also hope that he'll have some new material out soon in Sweden - come on Salem, everyone loves "Japanese Man" and that should be the first single off the second album. Also hoping that he plays some new songs on the forthcoming tour and that some nice Swedish people will put them on YouTube. If you have ever visited my blog you will be well aware that I am obsessed with Salem and his music, if you haven't checked him out yet I would encourage you to do so as he is a brilliant, talented musician, singer and songwriter who deserves worldwide success. We will certainly continue to report any news about him - and if you're a Salem Al Fakir fan, feel free to visit my blog on a regular basis and tell me what you think about the man and his wonderful music. Kylie Minogue & Quentin: "I Believe In You"
Kylie Minogue & Alexia: "Can't Get You Out Of My Head"
Jenifer & Claire-Marie: "Donne-Moi Le Temps"
Jenifer & Antoine: "Ain't No Sunshine"
Amel Bent & Sevan & Eva: "A 20 Ans"
Amel Bent & Claudia: "Ma Philosophie"
Frederic Francois, Eva & Pierre: "Frederic Francois medley"
Juanes & Sevan: "La Camisa Negra"
Juanes & Dojima: "Me Enamora"
Hard-Fi & Jeremy: "Hard-Fi medley"
Patrick Fiori, Pierre & Alexia: "Quatre Mots Sur Un Piano"
Lucie: "Poupee de Cire, Poupee de Son"
Bertrand & Maureen: "Dansez Sur Moi"
Mathieu : "Parce qu'on vient de loin"
Noémie : "Quelques mots d'amour"
Yaelle : "Jeune et con"
Interesting line-up of guests this week. Who would have thought we'd ever see the day when a band like Hard-Fi was on Star Academy? Should be another good show. Soundclips are over at CDON http://www.cdon.com/main.phtml?navroot=902&session=1 and by the sound of it, it's good, very good indeed, another great album in what has been a vintage year of Swedish pop. Most of the tracks are uptempo with the odd reggae/ska/hiphop influence thrown in. Schlager it ain't, but very good modern pop which I think could work in the international market. It will certainly make its way to my record collection sooner rather than later. Excellent debut. Well done Mr Pontare! Just been watching the "rattrapage" clips where Eva, Lucie, Mathieu, Noemie, Claudia and Yaelle all tackled Amel Bent's excellent "Le droit de l'erreur" in their own way. Eva was good although tried to stick too closely to the original; Lucie provided a more dramatic and different rendition on the piano; Mathieu was OK; Noemie was - well, let's just apologise in advance to any strangled cats reading this, because that's what she reminded me of. Claudia again stuck to the original arrangement, and Yaelle provided her own individual take even if it wasn't quite what they were looking for. Hadn't seen last weekend's evaluations till tonight, you know who I watched first - none other than lovely, charismatic Quentin who did another one of his jazzy funky songs accompanied by a bit of acapella and beatboxing from his fellow students. I would really like to hear him singing something by Sinclair as I think that would really suit his vocal style. Jeremy is my other favourite of the boys and he did a nice acoustic ballad. "Fashion faux pas" might be the best way to describe Bertrand, but behind the crazy image and big personality he actually has quite a good voice and hopefully he'll be there for a while yet. Alexia did very well, she has good vocal control and I think she will go far. I can also see Claire-Marie hanging on for a few weeks yet. Current top of the class and most fascinating of the girls, Maureen, also went down the jazzy route. It's a really strange one this year - more singer-songwriters and different musical styles, it's Star Academy but not as we know it. Less 'variete' and more variety. Our monthly "Hall of Fame" feature is taking a break until January 2008. In the meantime I will be going through my collection and will choose some more future contenders for artist of the month. Got a few ideas already. Mentioned this a few weeks ago but as it was released yesterday I thought I'd check out the sound clips of Jenifer's new album, (over at www.fnac.com and follow the 'telecharger' links). As you know I wasn't too keen on "Tourner Ma Page" to begin with but then grew to love it. A few of the tracks here have a similar feel, her voice has certainly matured and musically it's a departure from anything she's previously done. Just like the first single from the album, I think this will need some patience and a few listens, therefore I won't be reviewing it until I hear the songs a few more times. Haven't seen the video clips of the evaluations yet, but everything about Noemie screams "fake!!!!" but I've watched this show long enough to know that they'll keep her in till she's outlived her usefulness to the French gossip press. Or will I be wrong this time? I never really rated "Brother Oh Brother" among my favourite tracks on Måns Zelmerlöw's excellent pop CD "Stand By For", and it took me a long time to appreciate it. But now it's his new single I decided to give it another chance. Glad I did too, as it's a very catchy pop song which I'm now playing a lot and it looks as if it will end up in next weekend's playlist. Måns is also looking very good in the video too; he looks and sounds like a real pop star. How wonderful is SVT Play? (And before you ask, no I am not an employee of Sveriges Television!!) A news clip from 19.02.07 has now turned up at http://svt.se/svt/play/video.jsp?a=764623 and features an interview with Salem and his younger brother Sami (who has dark brown hair, dark brown eyes and is soooo good-looking by the way), there is also footage of Salem and his band rehearsing a couple of songs - "Damien and Bob" and another one which I didn't recognise but lyrics went something like "there was a time when you were younger/the world lay at your feet" and it was extremely funky and I want to hear more of it! Not sure how long they'll have this clip at www.svt.se but I'll enjoy it while I can. Still not sure where we are at with this one, but I had the B4 music TV channel on last night and "Reflection" was played twice within about half an hour, so ????? Seemingly this song is also no.4 in the UK's airplay chart, although I haven't actually heard it on the radio: so what's going on with this mysterious Indian singer-songwriter? To some, maybe just a bargain-basement Gary Numan, but I have fond memories of this early 80s singer who released "Save Us" and "Total Erasure" round about 1982 if I'm not mistaken. I always remember him from the "David Essex Showcase" (!) and thanks to the mighty YouTube (what else?) I've managed to relive his finest moments. This is actually my favourite Take That song, which was released in 1992 and wasn't a big hit but I still love it. The video, http://www.youtube.com/watch?v=Y_PEY8nY7vo is just a bargain-basement boyband-dancing-around effort but the song, I feel, is very underrated and will always be one of my faves. In A Coma/Moon Rock - Paul Steel: from his MySpace, two rather brilliant Brian Wilson-esque tracks from his forthcoming brilliant debut album. Miss Blue/Don't Hate On Me - Vincent: a rather wonderful young Swedish singer-songwriter - he'll be around on this playlist for a while yet. Talking of which ...! 52 Weeks - Marit Bergman & Salem Al Fakir: forgot how much I liked this. Really nice duet which is still on YouTube and I've been listening to it a lot this week. It's True - Axwell & Ingrosso vs Salem Al Fakir: this remix makes Salem's uplifting and euphoric track even more uplifting and euphoric. Now - when is it going to get a full UK release? Good Song/Dream Girl/This Is Who I Am/Thank You (Musikbyrån Live) - Salem Al Fakir: I have this recurring notion that in 2008, Salem will tour the UK and I will be at one of his gigs and singing along with every note of every word of every line of every song. In the meantime, this Malmo show from February 2007 will keep me going. Fairytale Gone Bad - Sunrise Avenue: too bad they missed out on the MTV New Sounds of Europe thing but this is still great and I've been playing it a lot this week. Apologize - Timbaland feat. One Republic: this is very good indeed. I don't know anything about One Republic but will do some investigating very soon. Inga Problem/Bejbi/Mister Cool - Snook: back on the playlist again as they were one of the first bands I put on my new iPod. And why not. Stop Me - Mark Ronson: the real star of this is Daniel Merriweather of course. Really excited now as Vincent's debut album will be released within the next week and all things being well it should be in my Christmas stocking this year! There are a couple of new songs on his MySpace - "How To Rob A Bank" and "In My Head" along with the wonderful "Miss Blue" and "Don't Hate On Me". All of which will be on "Lucky Thirteen" which is shaping up to be one of the best albums of the year from (yet another) great Swedish artist. Secret Service was a Swedish band which formed in the late 70s and had a number of hits in Sweden in the 1980s and had its international breakthrough with "Oh Susie" which was a hit in a number of countries. 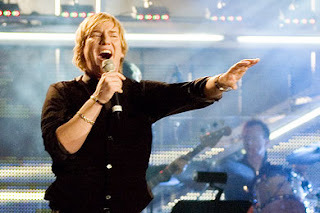 Ola Håkansson was their lead singer and he is now a top record company executive in Sweden. Yes, many of their songs may be a little electro-cheesy, but can I particularly recommend "I'm So I'm So I'm So", "Let Us Dance Just A Little Bit More" and the excellent "The Dancer" which features one of my favourite lyrics - "it's hard to face the music/when the dancer you have loved walks out the door". World of Twist was a Manchester band from the early 1990s which I really liked. "The Storm" http://www.youtube.com/watch?v=SE28yCN-Mbw was incredibly groovy and of its time but I still love it. Sadly it didn't make the UK top 40 singles chart. I loved that post-Stone Roses/Happy Mondays period and I used to listen to BBC Radio 1 in the evenings which played lots of these bands. What I really love about Scandinavian television is that they want to share their output with all of us who aren't lucky enough to live there, for as long as they possibly can. Goes without saying how much I love SVT Play but also want to mention NRK which has still got all the Norsk Melodi Grand Prix stuff from 2007, which I thought I'd watch again tonight if only to remember a) how stunning the opening title sequences were; b) how cute Stian Barnsnes Simonsen is; c) how much I like "Love on the Dancefloor" and "Here" and "Perfect Sin" and "Hooked On You" and "Rocket Ride". Only 2 months to go till it all starts again...can't wait! Firstly, this week's marks - and it's good news for the Academy's answer to Amy Winehouse....! Maureen : 17,202 Sevan : 13,803 Pierre : 13,204 Alexia : 134 Claire-marie : 134 Antoine : 137 Lucie : 12,808 Quentin : 12,609 Yaëlle : 12,4010 Jérémy : 12,2011 Bertrand : 11,4012 Eva : 11,2013 Noémie : 11,14 Dojima : 10,6015 Claudia : 10,4016 Mathieu : 9,4017 Alexandra : 8,4. "Prendre Racine" - Calogero & Jeremy: Oh, my heart fluttered a few times here. Jeremy has lots of charm and I thought he did really well in this duet with one of my favourite French singers, Calogero. "Don't Stop The Music" - Rihanna & Claudia: I like Claudia already for some reason. This wasn't a testing number vocally but I think she's got some charisma. "Double Je" - Christophe Willem & Eva: what sets Star Academy apart from the rest of the reality-talent contests is that it thinks big. Spectacular staging and visually striking choreography, which totally lifted this duet. She was OK, and we at EuropeCrazy like Christophe too, so thumbs up. "J'Irais ou Tu Iras" - Celine Dion & Pierre. I don't like Celine Dion at all, but I suppose I could just about tolerate this rock-influenced number. Thought he did quite well on this one. "Laisse-Moi T'Aimer" - Bertrand: already he's dividing the show's fans. I actually like him. He certainly brings a bit of individuality and showmanship to the competition. "Complicated" - Avril Lavigne and Yaelle: You can tell already that Yaelle is going to be pigeonholed into this little punky-rebel box. Thought she sang quite well, although can't really see someone with her image winning this thing. "Jacques a Dit" - Christophe Willem & Maureen: Again quite impressive, even if it's not really one of my favourite songs of his and didn't really show what Maureen can do. "Quand J'Serai KO" - Dojima: the first nominee of the night. This utterly reeked of cheese and the cardigan didn't help, but it had some charm. 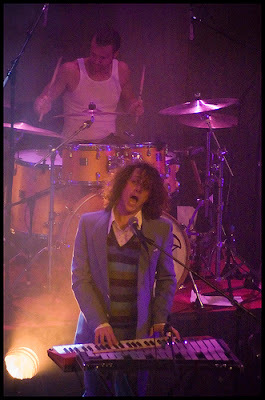 "Pomme C" - Calogero & Antoine: felt that Antoine had some vocal weaknesses and lacked maturity. Oh and I still think he looks as if he should be a member of Busted or McFly. "Immensite" - Celine Dion & Alexia: good performance by Alexia who held her own and I think that she is already sounding like a contender. "Des Mots Qui Resonnent" - Alexandra: she was OK but nothing more, and Jenifer she ain't. "Umbrella" - Rihanna & Lucie: I keep calling Lucie "Julie" because she reminds me a bit of the Nouvelle Star contestant. That aside, Rihanna towered over her, both in height and vocal ability, but bits of it were OK.
Are they genuine? Are they fake? Who knows? In any case Noemie did better than her 'other half' Sevan this time. She certainly looked lovingly at him throughout. Pass the sick bag? "Le Mur du Son" - Mathieu: second nominee this week, but in spite of that I quite enjoyed this and felt it was enough to keep him in for another week. "Goodbye Philadelphia" - Peter Cincotti & Quentin: already decided that Quentin is one of my favourites. Beau gosse blah blah blah, but one with talent. "Si Maman Si" - Claire-Marie: She looks like a librarian but she has a very nice voice and she sang very well, but what a pity that she chose to copy France Gall's vocal style a little too closely. More originality next time please. 1. Maureen 2. Quentin 3. Alexia 4. Claire-Marie 5. Jeremy 6. Pierre 7. Yaelle 8. Claudia 9. Eva 10. Bertrand 11. Noemie 12. Antoine 13. Sevan 14. Lucie. Result: Mathieu saved by the public, and Dojima saved by the jury. (Yes the jury and not the students now get the responsibility of saving a contestant). Au revoir: Alexandra, who becomes the first student to be evicted from the Academy. Next week's prime: Amel Bent, Kylie Minogue, Jenifer, Juanes. Bring it on! Idol-Sweden: 7 finalists remain. Left to right: Marie, Mattias, Sam, Amanda, Andreas, Christoffer, Daniel. Love songs. Urgh. I hate "love songs". But anyway let's get on with it. It's been a week filled with controversy over in Sweden as questions have been asked regarding the four-consecutive-week-female-evictions. With two girls and five boys left in the contest it was going to be interesting this week - who would go? Mattias - "If I Could Turn Back Time". Try describing Mattias without using the word 'boyband'. No, I can't. But he was styled nicely this week though, and vocally was just his usual average without being spectacular. Christoffer - "Something". Another nice performance by my favourite contestant in the competition. Attempted some soulful-warbling, which wasn't really necessary, but overall he is still very good and should go far. Daniel - "Baby One More Time". Britney, ballad-style. Another good performance from him: he will also go far. Oh - I remember now who he visually reminds me of: Harlem from Star Academy 4. Fascinating fact of the day. Marie - "Always On My Mind". Controlled and effortless performance. She will be there at the end, that's for sure. Her restyling also continued and she now looks a lot more classy than before. Sam - "The Power of Love". Flat cap - check. Duff vocals - check. Fish-on-a-slab personality - check. Amanda - "Baby Can I Hold You Tonight". Barbie sings a ballad. Am I the only one who doesn't understand her appeal? Andreas - "Is This Love?" 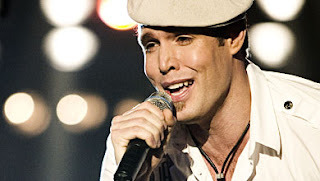 Surprisingly good vocally this week and he redeemed himself, although visually still not the most appealing contestant. My ranking this week: 1. Christoffer. 2. Marie 3. Daniel 4. Andreas 5. Mattias 6. Amanda 7. Sam. This week's bottom two following the public vote: Sam and Mattias. Sam was finally evicted, and not a moment too soon. I reckon that Mattias will probably be next to go.